The structure of our program is what separates us from traditional overnight camps. Each weeklong session is specially crafted for athletes who have busy summer schedules, but we ensure that campers staying longer get a unique experience each week. The weeklong session also makes our camp an affordable and safe option for parents of new campers who are unsure about committing to a longer overnight experience. Our brand new cabins are equipped with climate controlling air-conditioners, ample storage space, in-cabin showers and toilets, as well as hot and cold running taps with drinkable water. Our cabins comfortably house 12-14 campers, who are grouped age appropriately. We try to ensure that all campers bunking together are within one grade level of each other. As well, coaches stay in the cabins with the campers to maintain the highest measures of safety possible. 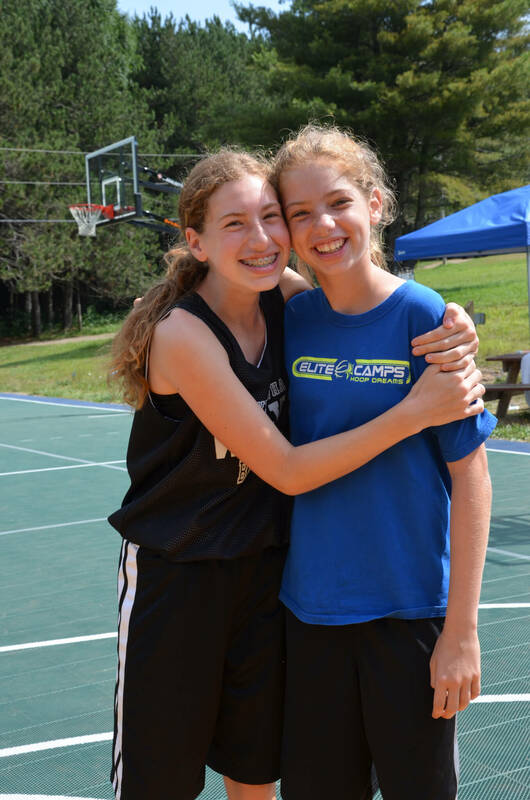 All of our staff are specially selected, caring individuals, who work together to uphold Elite Camps values and provide an amazing, safe camp environment. To ensure this, staff undergo a rigorous training process at the onset of each summer, where they are taught, among many other things, the best ways to educate and assist your child. To make sure our campers are fuelled and ready for their busy days we employ a catering company to take care of all our food related needs. With the help of our kitchen, they provide a diverse menu of highly nutritious fresh food, served in an all-you-can-eat, cozy family style setting to ensure your child gets as much nourishment as they need. At Elite Camps we are incredibly concerned with the health and safety of our campers, and our Dining Hall is no exception. We are happy to discuss, and accommodate, alternative menu options with parents of children who have dietary restrictions and allergies. As the Elite Outdoor Leadership Centre and all other Elite Camps locations are entirely nut-free, our Tuck Shop and Kitchen does not stock any nut products. Camper health and safety is our #1 concern. To find out more, head to the Health and Safety section. We Take Care of All The Equipment! Our state-of-the-art facilities are stocked with all the equipment necessary to run a diverse array of basketball specific programming and traditional overnight camp programming. Our instant e-mail letter system makes it easy to stay in touch with your child while they have the experience of a lifetime. With this system our campers are able to hand-write letters, which we then scan, and send directly to you. To reply, all you have to do is send an e-mail back to our administrative team and we’ll print it off and hand-deliver it to your child. As well, we post photos up to three times daily on our Facebook page so you can check in and see all the fun activities your camper is taking part in.